Japandroids is a Canadian rock duo from Vancouver, British Columbia formed in 2006. The group consists of Brian King (guitar, vocals) and David Prowse (drums, vocals). After self-releasing 2007's All Lies and 2008's Lullaby Death Jams EPs to little attention, the band was effectively broken up by the end of 2008. 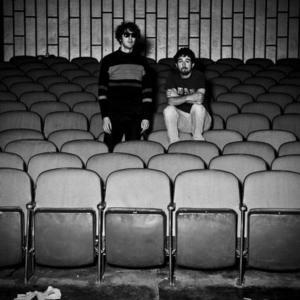 In January 2009, Japandroids signed to Unfamiliar Records for the release of their debut LP Post-Nothing, deciding to continue on temporarily. The album quickly and unexpectedly rose to wide critical acclaim after its April release. After self-releasing 2007's All Lies and 2008's Lullaby Death Jams EPs to little attention, the band was effectively broken up by the end of 2008. In January 2009, Japandroids signed to Unfamiliar Records for the release of their debut LP Post-Nothing, deciding to continue on temporarily. The album quickly and unexpectedly rose to wide critical acclaim after its April release. King and Prowse were subsequently signed to Polyvinyl and toured extensively throughout 2009 and 2010, playing more than 200 shows in 20 countries and earning praise for their extremely energetic live performances. A compilation of Japandroids' self-released EPs, entitled No Singles, as well as a series of three 7" singles, "Art Czars," "Younger Us," and "Heavenward Grand Prix" were released in the meantime. The tour ultimately concluded on October 27, 2010. After working on new material throughout 2011, Japandroids announced in March 2012 that their second LP, Celebration Rock, would be released internationally on June 5, prefaced by the single "The House That Heaven Built" on May 15. Similarly to its predecessor, Celebration Rock was also widely acclaimed by critics.